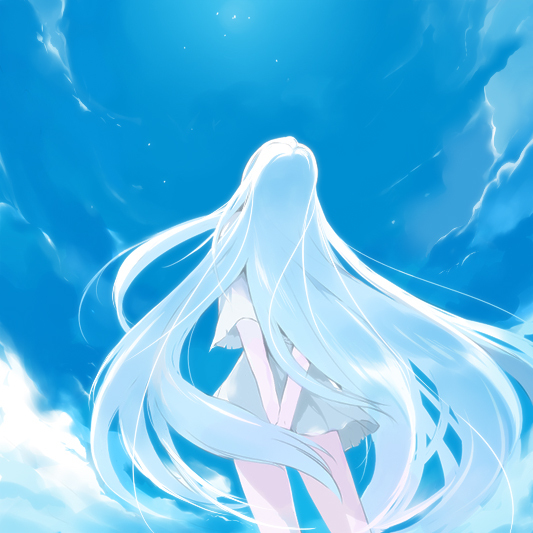 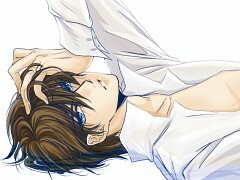 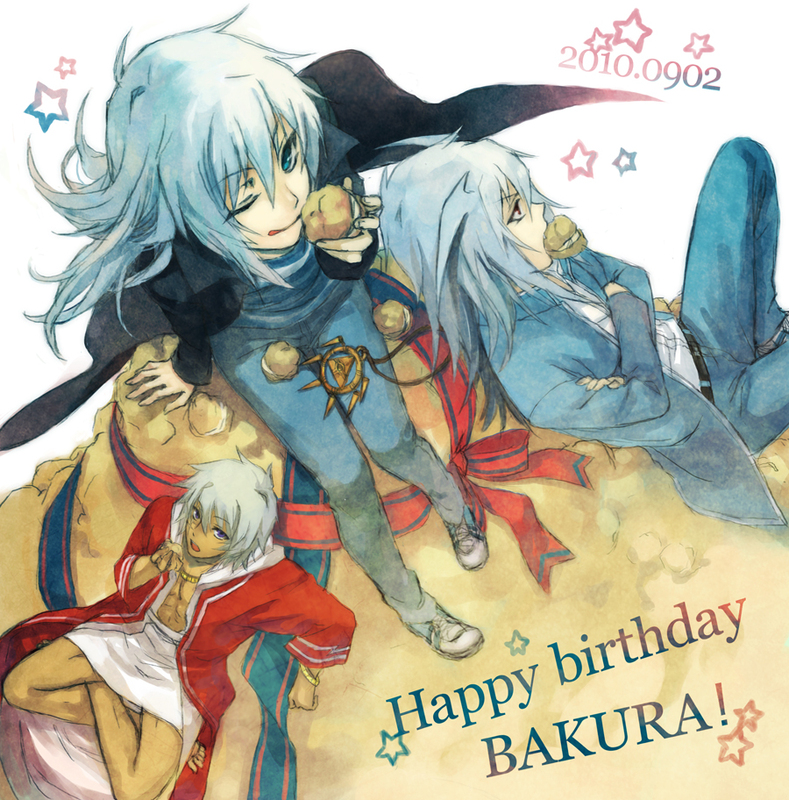 5,827 anime images in gallery. 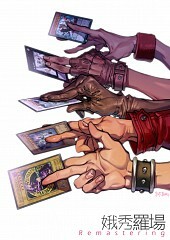 Tagged under Yu-Gi-Oh!, Manga, Games and OVA. 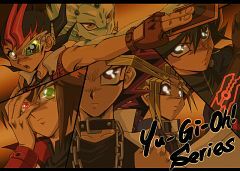 Yu-Gi-Oh!, known in Japan and the rest of Asia as Yu-Gi-Oh! 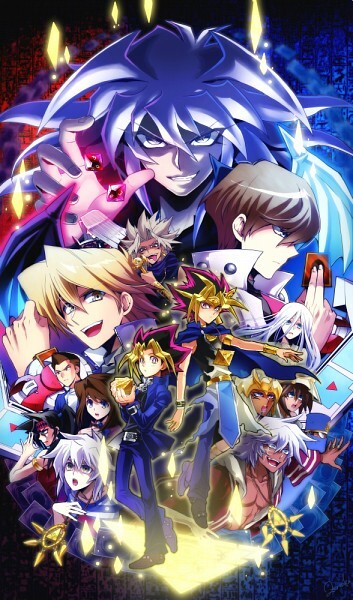 Duel Monsters is an anime based on the Yu-Gi-Oh! manga. It is produced by Studio Gallop and Nihon Ad Systems. 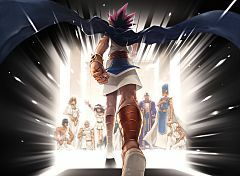 The story follows Yuugi Mutou, a boy who completed an ancient Egyptian artifact known as the Millennium Puzzle, which led to him to inherit a spirit known only as Pharaoh. After defeating his rival, Seto Kaiba, in a game of Duel Monsters, Yuugi is approached by Pegasus J. Crawford, the creator of Duel Monsters, who uses the power of another Millennium Item, the Millennium Eye, to kidnap the soul of Yuugi's grandfather. 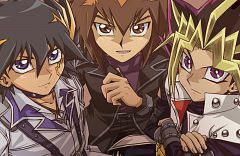 Joined by his friends Jounouchi Katsuya, Honda Hiroto, and Anzu Mazaki, Yuugi enters Pegasus' Duelist Kingdom tournament, battling against many opponents in order to defeat Pegasus and free his grandfather's soul. 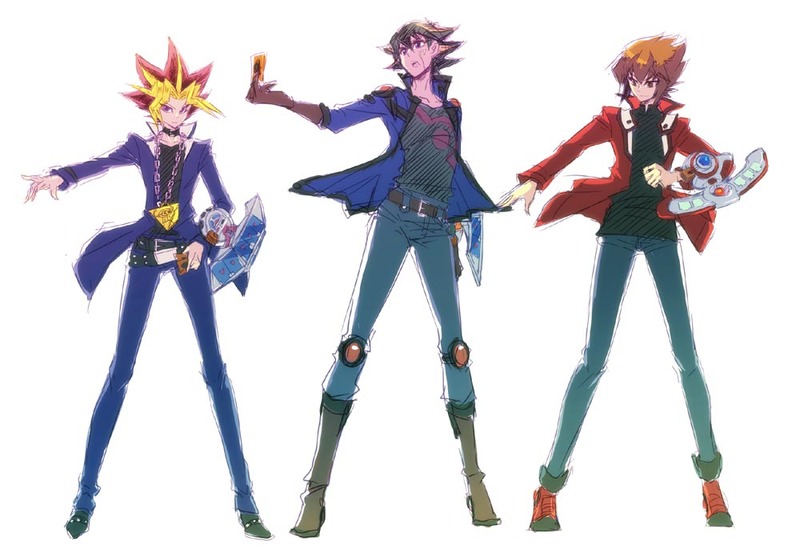 After the tournament, Yuugi battles Ryuuji Otogi in Ryuuji's new game, Dungeon Dice Monsters. 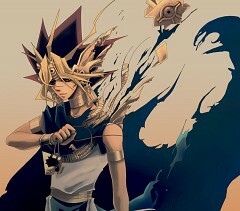 Yuugi learns that the spirit dwelling within him is a nameless Pharaoh from Egyptian times, who doesn't remember his past. Yuugi enters Kaiba's Battle City tournament in order to obtain the three Egyptian God cards needed to unveil the Pharaoh's past. Along the way, Yuugi encounters even stronger opponents and more Millenium Items, including Marik Ishtar, the wielder of the Millenium Rod. 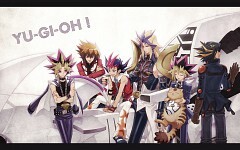 Yuugi is the main protagonist of Yu-Gi-Oh! Duel Monsters. At the start of the series, he is a shy boy who is really short for his age, something he always gets teased about in school. 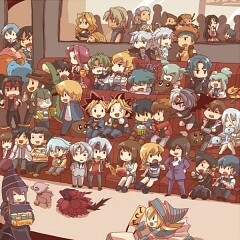 For this reason, he was always alone. 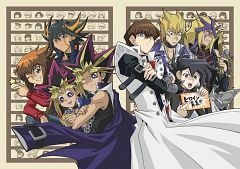 However, his grandfather gives him the Millennium Puzzle prior to the story's time line and Yuugi is told that if he solved it, one wish of his could be granted. 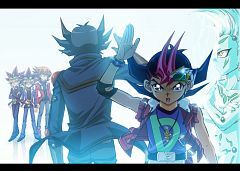 He manages to solve the Millennium Puzzle and he asks for friends and his wish is immediately granted. He also awakens the spirit residing in the Puzzle, but Yuugi is not aware of this until much later in the story. 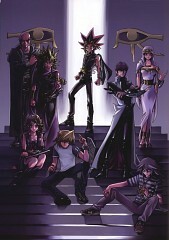 Yami Yugi is the spirit of the ancient Pharaoh residing in the Milennium Puzzle. His past is shrouded in mystery. 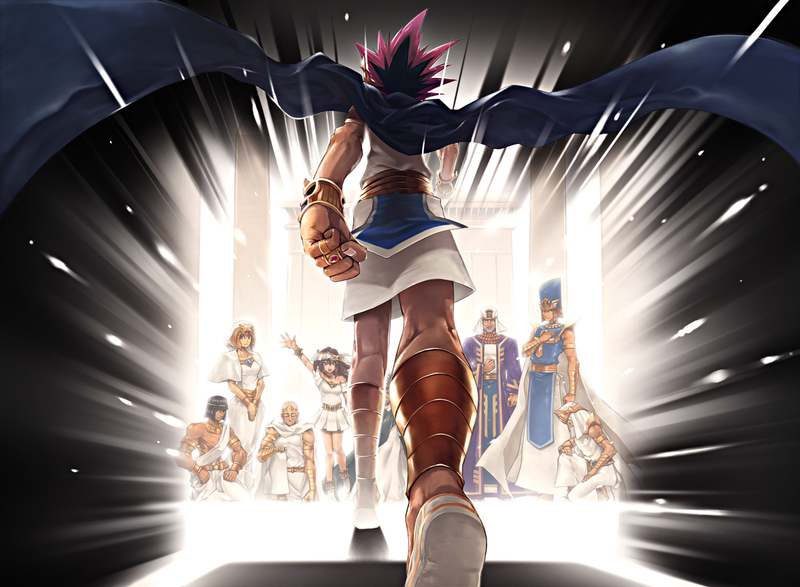 3,000 years later, Yuugi Mutou, after trying to solve the puzzle for eight years, awakens the Pharaoh from his slumber. Jounouchi is Yuugi's best friend. 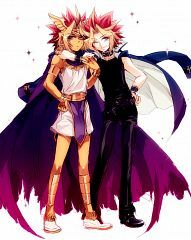 At the beginning Jounouchi used to bully Yuugi; however, after being saved by Yuugi from an even more of a dangerous thug, Jounouchi has been pals with Yuugi ever since. Jounouchi likes to hang around with Yuugi and learns a lot of new games. He is not always confident that he will win his games, but he always tries his best. 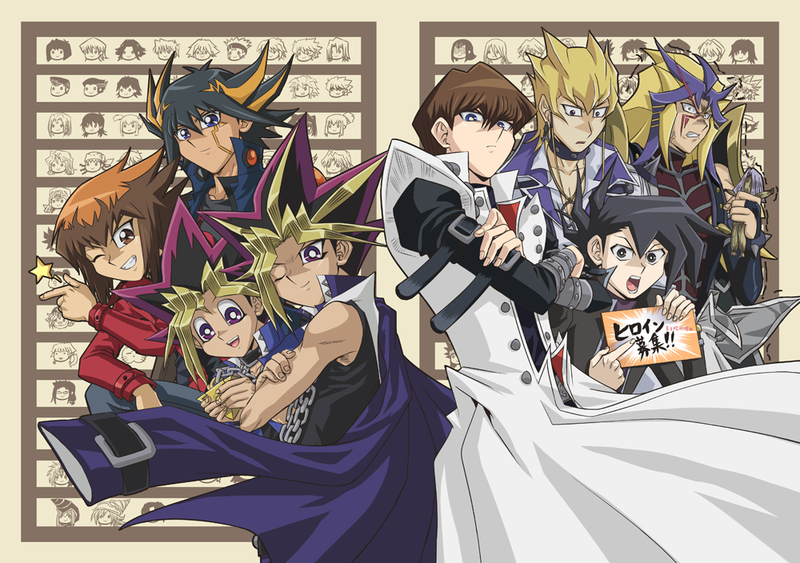 Anzu is the childhood friend of Yuugi Mutou. 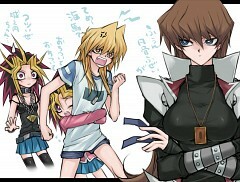 She becomes a good friend to Jounouchi Katsuya and Hiroto Honda, though she is not fond of them at first. 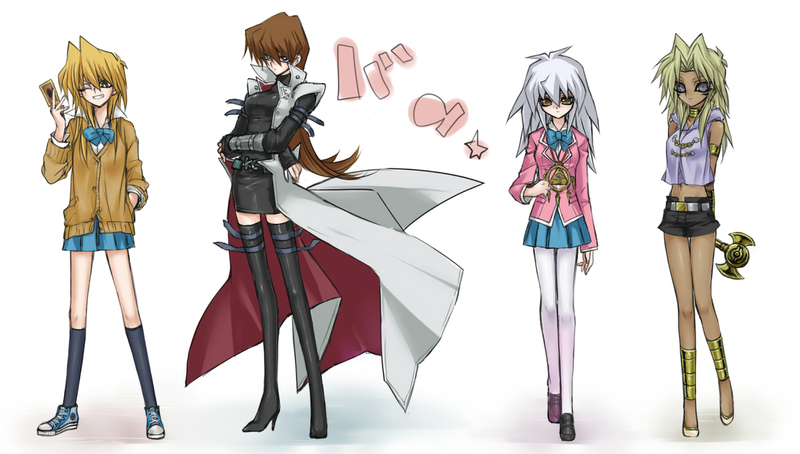 In the first series anime, Miho Nosaka is also one of Anzu's friends. 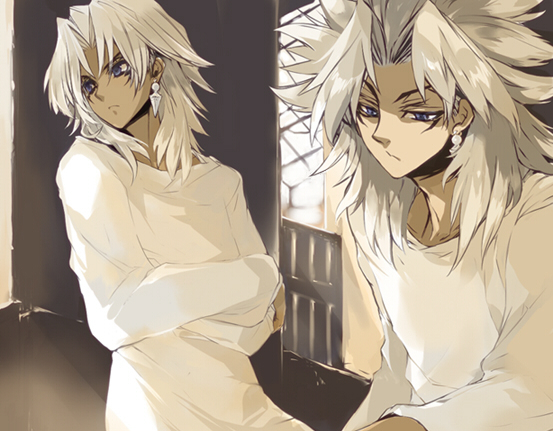 Another one of Yuugi's friends. 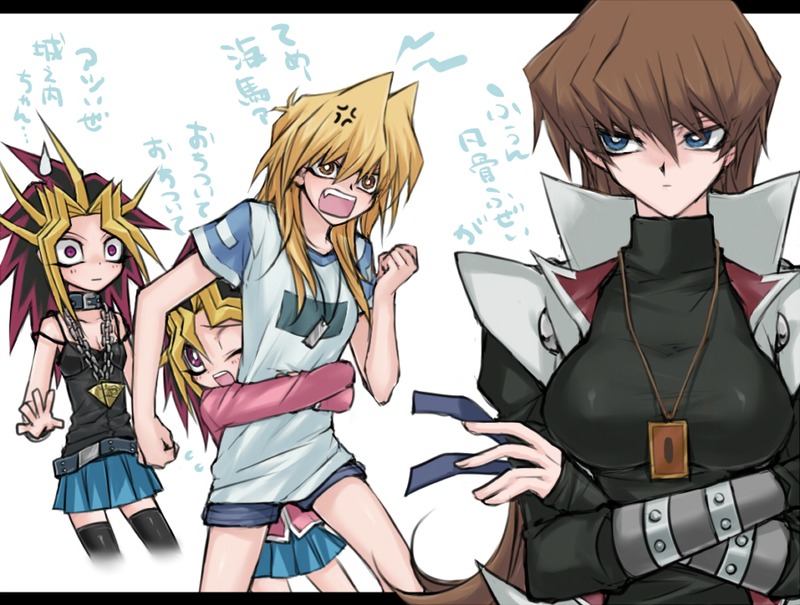 Hiroto used to bully Yuugi with Jounouchi. He never understood Yuugi's fashination with games but he was able to understand the feelings of others. Hiroto always helps Jounouchi or Yuugi when they are in need. He's a friend to the end. 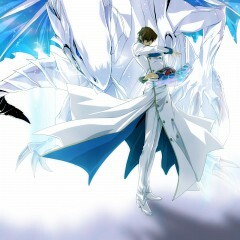 Seto is the majority shareholder and President of his own multi-national company, KaibaCorp, who aims to become the world's greatest player of the Duel Monsters card game. 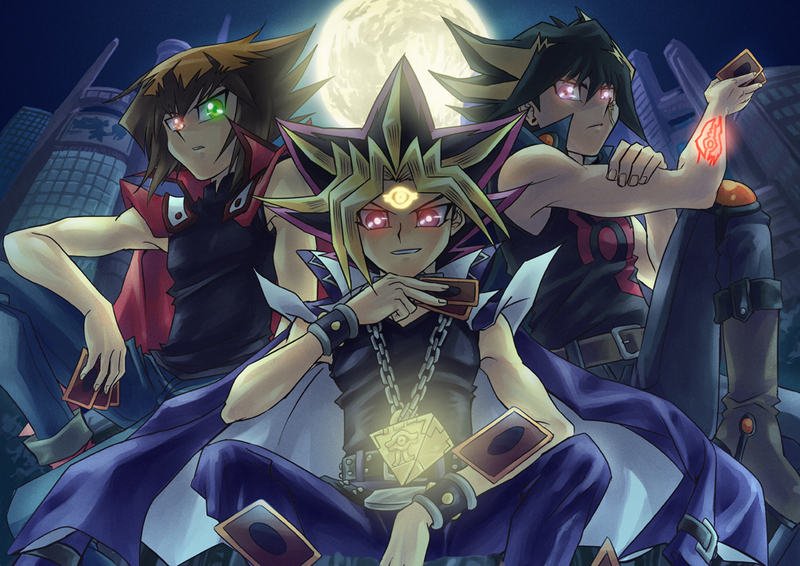 To accomplish this goal, he must defeat his arch-rival, Yuugi Mutou. 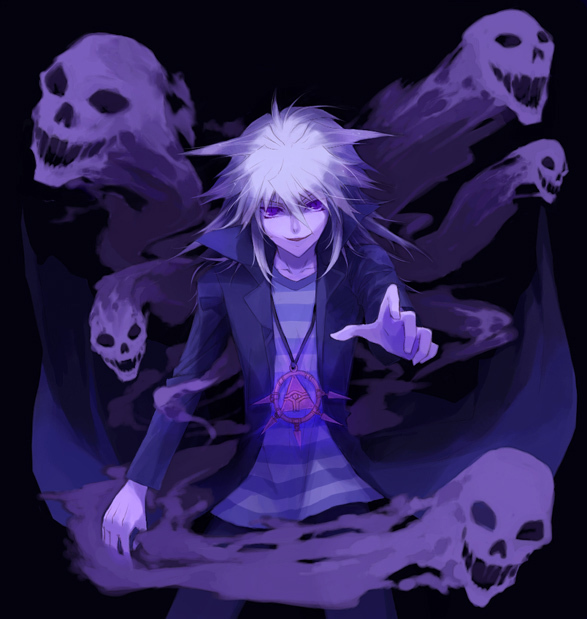 He is largely considered an anti-hero, as his motives are usually ego-centric, but in several cases towards a good cause.